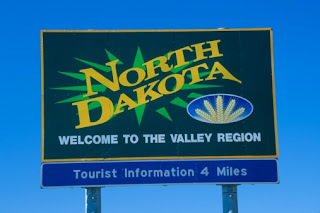 North Dakota Preps • View topic - Why doesn't North Dakota have any proffesional Sports Team? Why doesn't North Dakota have any proffesional Sports Team? Answer: Because Minnesota would want one too! Last edited by John Cena on Thu Sep 10, 2009 12:12 pm, edited 2 times in total. Re: Why doesn't North Dakota any proffesional Sports Team? FM Redhawks, Dakota Wizards? I'm pretty sure they get paid something. Hence "professional"
Your response to that can be answered by using symbols. $$$$$$$$$$ Or lack of. John Cena wrote: Answer: Because Minnesota would want one too! Apperantly you all missed the joke. Re: Why doesn't North Dakota have any proffesional Sports Team? ya you joked that none of the minnesota teams are professional...good one. John Cena wrote: Apperantly you all missed the joke. Yes, it was such subtle and funny humor that none of us got it. Now had you phrased it "Why doesn't North Dakota has a professional football team?" then the joke would have been about as funny as the last 20 times I heard it. But it was kept pretty general. That was a new twist.